After installing this mod, you'll be able to have your own wife and children. Girls players must positively evaluate this modification. Now your favorite family will always be waiting for you at home. To get married, enter the chat command - / menikah. You can also have children (boy or girl), commands: / melahirkan laki-laki or / melahirkan perempuan. 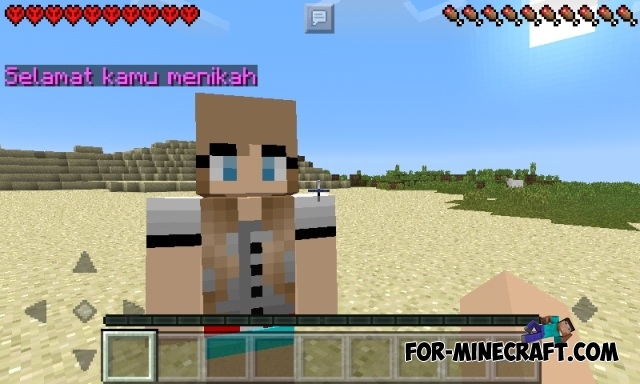 Private Chat Addon for Minecraft PE 0.12.1This addon is allows you to send messages to certain players with a simple command. 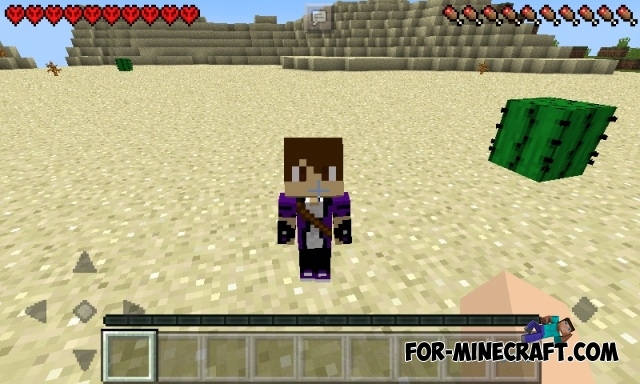 Commands Mod for MCPE 0.11.1This mod makes it possible to use a small set of very useful commands, with which control the gameplay becomes much easier! 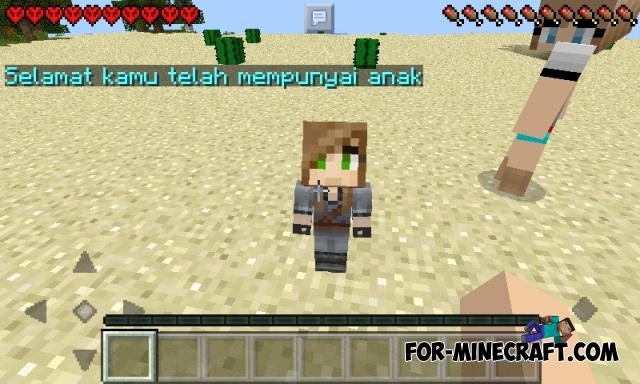 Family mod v3 for MCPE 0.10.5Sometimes you get bored playing alone, at your friends do not have time to join you. Well, this modification will help you get rid of sadness! Tolong bagitau di mana mau cari isteri?